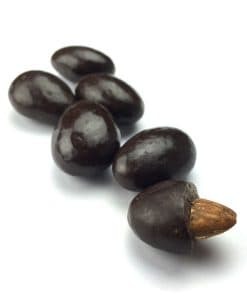 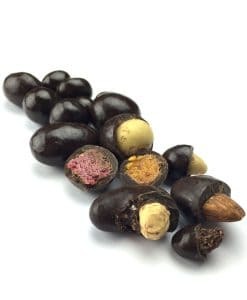 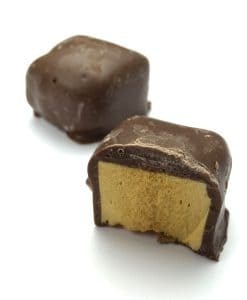 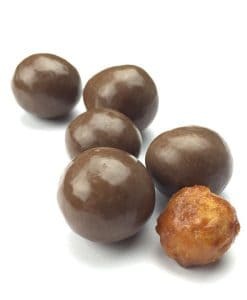 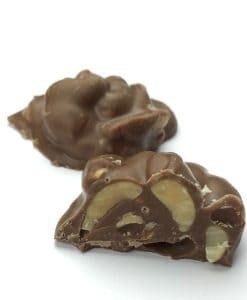 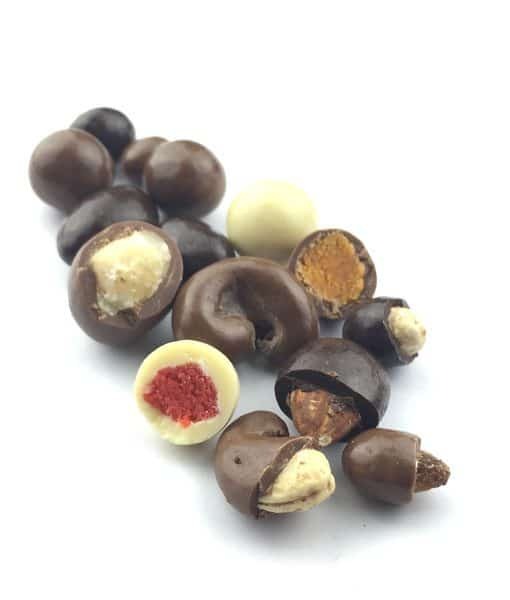 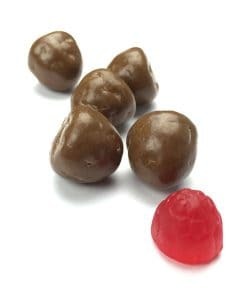 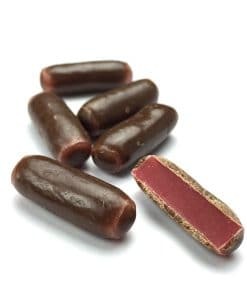 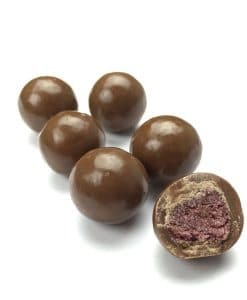 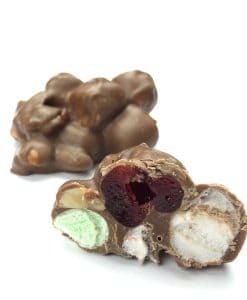 Apricots, Cashews, Macadamias and Sultanas coated in our creamy, pure milk chocolate… Peanuts & Almonds coated in our dangerously, decadent dark chocolate… and Strawberries coated in sweetly, sensual white chocolate. 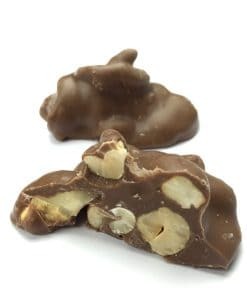 3 times the flavour… 3 times the pleasure… 3 different blissful trips to chocolate heaven in one amazing union of nuts and fruits. 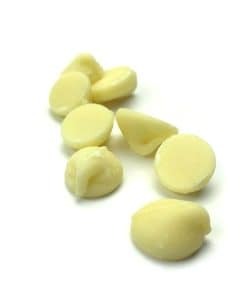 Creamy, pure milk chocolate… dangerously, decadent dark chocolate… and sweetly, sensual white chocolate. 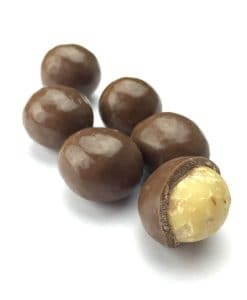 3 times the flavour… 3 times the pleasure… 3 different blissful trips to chocolate heaven in one amazing union of nuts and fruits.